When my clients ask about being bikini or bathing suit ready for the summer time the midsection (abs) always come up. Here are the best ab exercises you can do at home that will help you feel confident in whatever you’re going to wear… or not this summer. Arm Pullover with a Crunch This is a great exercise for the entire front of your body and should be done by both men and women. 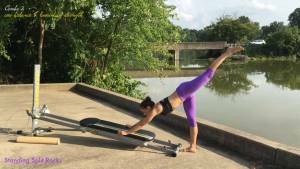 When you’re ready to add intensity into this abdominal exercise try it with your feet up off of the glide board. As a variation, add a twist to help tone the waistline. One of my abs-olute (pun intended) favorite accessories. Now it’s time to work the lower abs from the bottom up. A couple of my favorite lower ab exercises are the Ab Crunch (knees to chest) and the Oblique Crunch. This ab exercise is a must for the waistline. 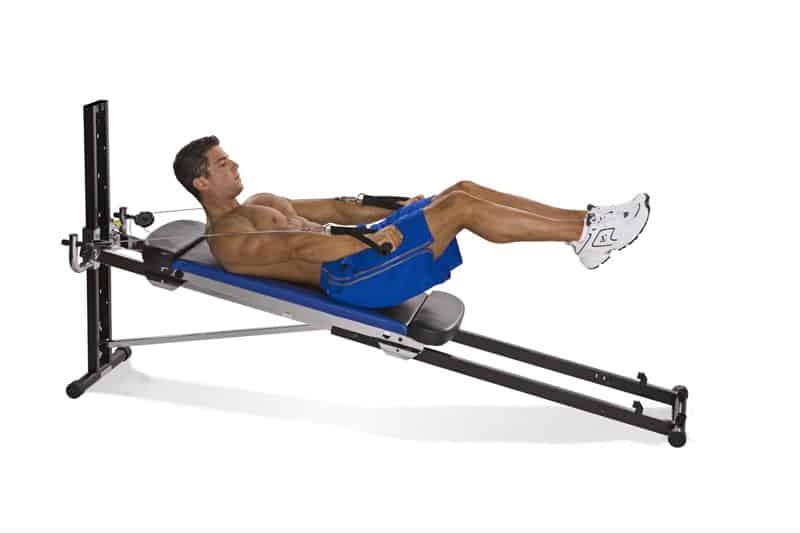 I love this exercise not only for killer abs and obliques but also because it is a very functional abdominal exercise. 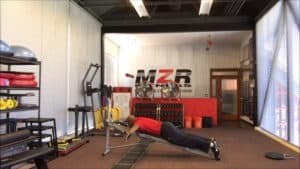 We need to have a strong midsection whenever we rotate our bodies. 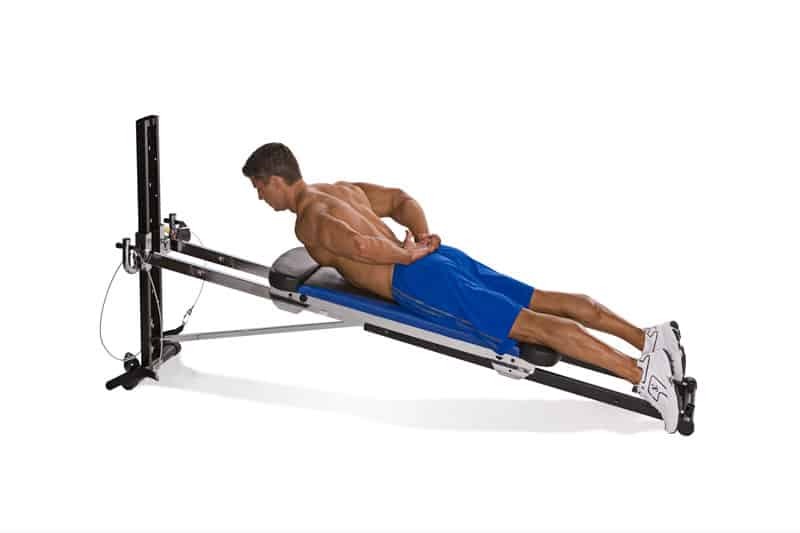 Spinal Extension In order to have a great looking front and waist we also need to have a strong lower back. 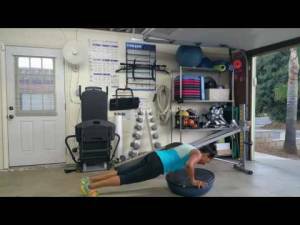 The spinal extension is a great core back exercise to add to your home workout routine. If we want a 6 or 8 pack on the front we need to have a 24 pack on back. Plank Exercises These exercises are critical to a healthy straight spine. One of the most important actions of our abdominal muscles working together is to support and stabilize our posture. The problem is we fatigue and start to slouch. To prevent this from happening we need to keep the mid-section stabilizers strong and healthy. Plank exercises on the Total Gym are an effective way to accomplish this. Using a Total Gym makes plank exercises easy for all fitness levels, even if you’re a beginner. Flexing your spine – bringing the chest toward the legs or the legs toward the chest. Extending your spine – standing up tall and straight. Laterally flexing your spine – bringing your shoulder towards your hips. Rotating your spine – twisting and reaching or looking back. Stabilizing your spine – all of the muscles working together so no matter what position you’re in you have optimal posture. If you are training your core muscles through these movements you will not only have a beautiful midsection but also a strong healthy core. The above ab exercises are a great way to get you there. Be sure to post your comment below and tell us your favorite ab exercises that you do at home. You can visit this link to see the Total Gym and all the Abdominal Exercises you can do at home. best ab workouts for men it is recommended for intake of good carbs, eat fresh vegetables and drink lots of water.